Although we have changed our name from Heritage Restoration to Portland Stair Company, we are still The Stair Guys. Click here to read several Houzz.com reviews written by past clients of Portland Stair Co.
We have here a few reviews written by past and recurrent clients of ours. “Craftmanship! Three years after completion of the most stunning centerpiece of our home, a squeak developed in 2 of the stairs. I didn’t imagine that there would be a cure, but I contacted Shane on the off chance that he could remedy the annoying sound. To my surprise, after a few minutes of Shane’s magic, the squeak disappeared. He knew just what to do and happily stood by his work three plus years after finishing the original project. I highly recommend Portland Stair Company for their professionalism, creativity, workmanship and follow-through! ” J.L. 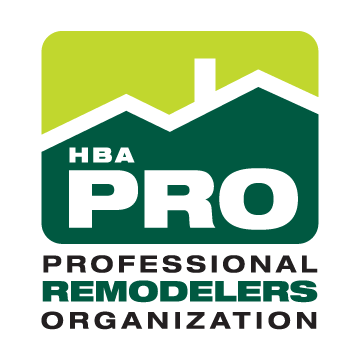 “I have used Shane Kenney and Heritage Restoration for several carpentry and general contracting jobs on my home over the last 20 years, and I recommend him without reservation to anyone who is interested in having things done RIGHT and really WELL. I have never known Shane to cut corners on a job, and the quality of his work is really aesthetic. On the other hand, he was always willing to look for creative solutions to problems that would help me keep costs down and achieve the same end result. Shane and his crew are honest and always did what they said they would do. Having a great Portland resource like this in your back pocket is a valuable commodity.” March 27, 2010 V.S. “Shane Kenney and Portland Stair Co. are a talented creative woodworkers &, stairbuilder’s. I’ve had the opportunity and privilege of seeing some of their work and it shows his attention to design and detail. I recommend Shane and crew wholeheartedly, as a craftsmans who, literally and figuratively, takes it to another level.” March 4, 2011 C. R.
“The Portland Stair Co. Shane and Gage are an amazing artists with wood as their medium. The attention to detail and exceptional knowledge of his art sets them apart from others in their field. If you looking for someone to redesign your staircase or build a new one, Shane and his crew are the people to hire!” April 9, 2009 T. S.
“Let me take a moment to highly recommend Shane and Gage of Portland Stair Co. for any custom stair project. As, a historic building repair specialist, I have relied on Shane to execute period appropriate carpentry on several award winning projects in the Metro Portland area. I have really appreciated his ability to collaborate with my vision of the homeowner’s wishes. See some good examples of Shane’s work in the interiors section of www.fullcircainc.com.” August 8, 2011 A. C.
“We absolutely HATED our staircase; it was ugly and unwelcoming. Thanks to Shane and company we now have a much admired staircase and a transformed entry way.Their workmanship is outstanding and attention to detail is excellent. Our matching 2nd and 3rd newel posts lacked the detail of the main post and Shane was able to add material to make them more interesting. Especially notable is that Shane continued with us after his project was complete. We had difficulty with the center carpet install and Shane arranged to meet the installers to make sure they got it right. We have recommended Shane many times and will continue to do so. Too bad this house only has one staircase!! We would love to work with them again.” April 24, 2012 J.L. Some of these testimonials are located in my LinkedIn.com profile. Feel free to check them out.